The Music Department at Austin Community Colleges is committed to serving the residents of Austin and surrounding areas. Only 25% of students who audition for TMEA are selected for the Region Choir, and we would like to help you be one of those who are chosen. This camp will be taught by highly qualified choir directors to give YOU an advantage in the first audition. LEARN THE MUSIC FOR FALL AUDITIONS IN A FUN ENVIRONMENT! 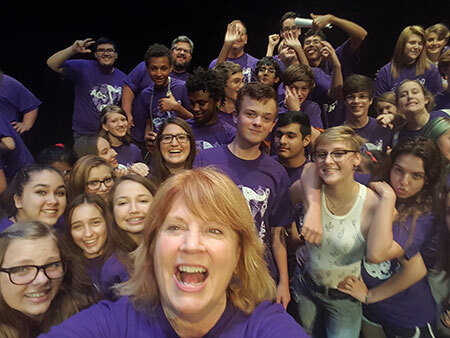 The High School Choir Camp is open to choral students entering grades 9, 10, 11, or 12. Your music is included along with your t-shirt and lunch. If you are a previous All State Choir Performer, your tuition is free. Please bring it to the first day of camp. HIGH SCHOOL CHOIR DIRECTORS : To register students, please add to cart one at a time and provide complete information. When finished with registration, go to checkout to pay with with either a credit card or electronic check. The sponsor of this camp is Virginia Volpe, Choral Director of Austin Community College. If you have questions, please visit: www.austincc.edu/choral or call 512-223-4008.